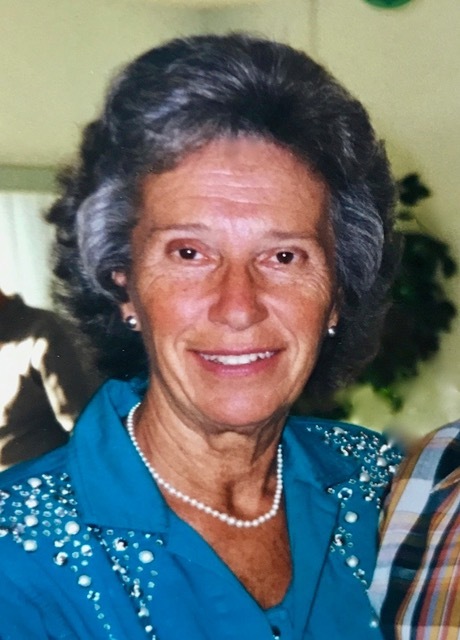 Anna (Radich) Stanich, 90, of Beach Haven, N.J. passed away on December 26th. She is survived by Domenick, her beloved husband of sixty-three years. As the family emigrated from Croatia, Anna was born the fifth of seven children to Thomas and Maria. Her brothers Srecko, Leo, Joseph and Nicholas and her sisters, Johanna and Helen all predeceased her. She grew up in Hell’s Kitchen and loved her city life …. (the chores) …. the Stores! …. (fresh air) …. Times Square! You are my wife (married in 1955) … good-bye city life! Across the River they went and she became a Jersey girl. She worked harder than almost anyone we know…. never slept late and never sat still unless she had someone’s ear. She loved conversation, loved the telephone, loved parties and socializing. She could sing just about any song from the 40s and 50s and could turn a kitchen into a dance hall. She’d lay out a spread enough “to feed an army” (as dad often said) and have the kitchen spotless before dessert was served. She loved more than any of those things, her family, and had a wonderful circle of lifelong friends. Her two daughters, Susan and Nadine, her six grandchildren, Aaron, Luke, Amber, Ben, Christian and Miranda, son in law Steven, great-grandchildren, John, Dominic, Lydia, Ruby and Uriah were the joy of her life. She was self-less, thoughtful and genuine always. And then there was Domenick. Strong and handsome. A man’s man. She never had to do a man’s work around the house … He took care of her and she took care of him. They built a life together by hard work, commitment, fun and faith. They grew old together. And he was there by her bedside saying goodbye…. Visiting hours will be held on Friday, January 4, 2019 from 4pm to 7pm at Maxwell-Tobie Funeral Home, 573 Mill Creek Rd, Manahawkin, NJ. A Mass of Christian Burial will take place Saturday, January 5, 2019, 11am, at St. Francis of Assisi Church, Long Beach Blvd., Brant Beach, NJ. Interment will follow at St. Mary’s Cemetery, Manahawkin.